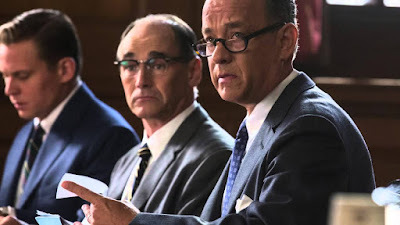 Like “Lincoln” before it, “Bridge of Spies” takes an extraordinary time in our nation’s history and boils it down to its essence. Spielberg has been known to over simplify things sometimes, and that may be the case here, but his incredible formalism and mastery of his cinematic craft have created a classically minded work that recalls the best of Capra’s American optimism in the face of great darkness. Spielberg has shown more restraint in his work over the last decade (“War Horse” being the notable exception), and it has been fascinating to watch him grow not only as a filmmaker, but as a political chronicler of modern American life.